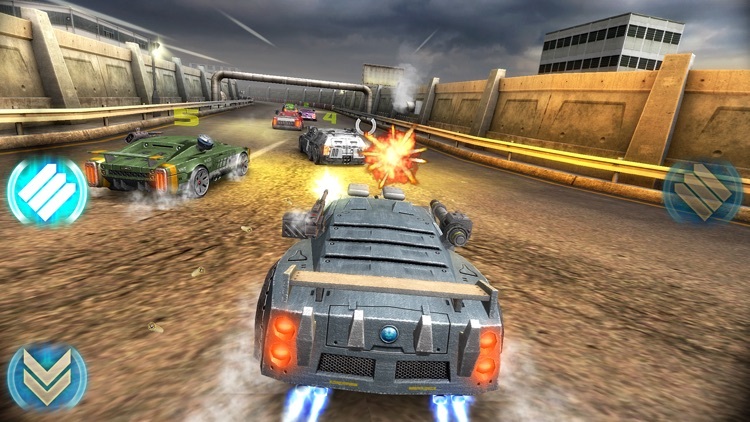 Jump behind the wheel of some bruising vehicles and blast your way to the finish line in Battle Riders. 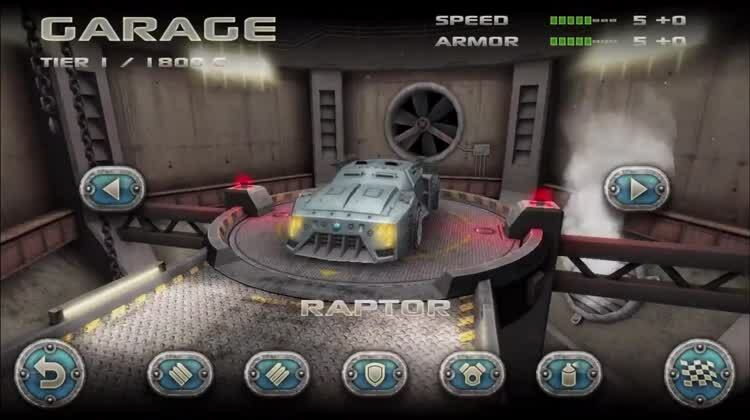 Choose the raptor and the weapons. Collect the boosts and power. 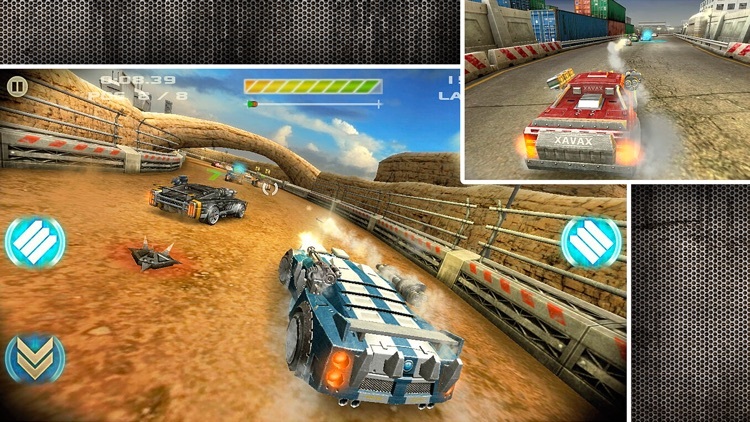 Battle your way to first place in this amazing combat racing game! 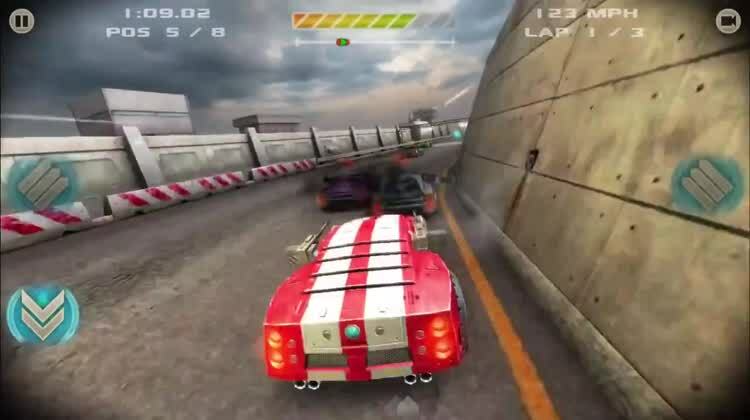 It offers adrenaline pumping, high-octane action and a lot of fun! No in-app purchases. 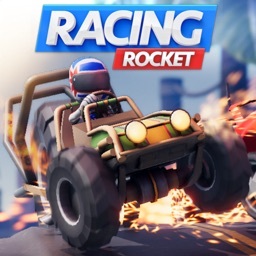 It’s perfect for gamers who enjoy combat racing. It’s single player only. 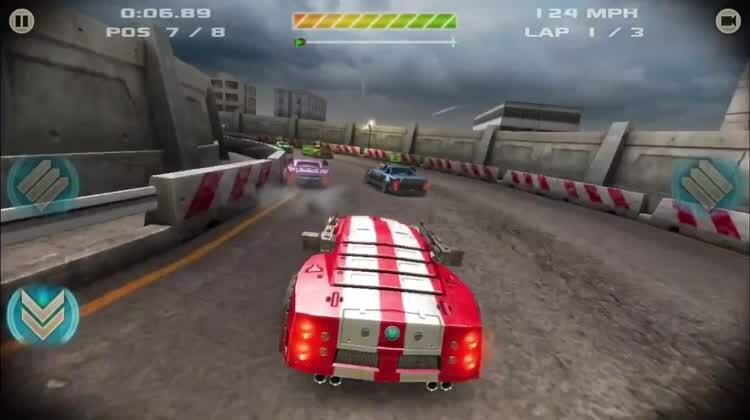 If you want to battle friends in epic wrecking races, you’ll have to get your fix somewhere else. 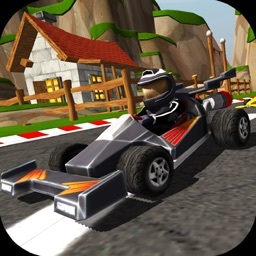 If you enjoy games like Mario Kart, check out Battle Riders. It’s more of the same, except with a more realistic tone. 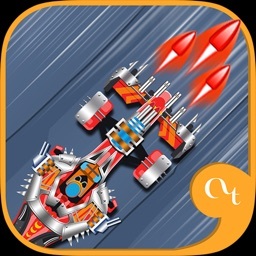 TOUCHARCADE - 9.0 - "Wreck And Roll Racing"
POCKETGAMER - 8.0 - "A compelling and satisfying post-apocalyptic arcade racer"
148APPS - 8.0 - "Battle Riders is a slick, well-made take on vehicular manslaughter"
APPSPY - 8.0 - "Battle Riders delivers aggressive, compelling races with explosive gunplay"
ARCADELIFE - 9.0 - "Full Speed Winner"
Metal and 64 bit support deliver amazing graphics and effects, enabling full real-time lighting and shadows. Win races and complete the career mode, which spans over 120 events. Unlock new racing tiers, enabling higher speed and better weapons. 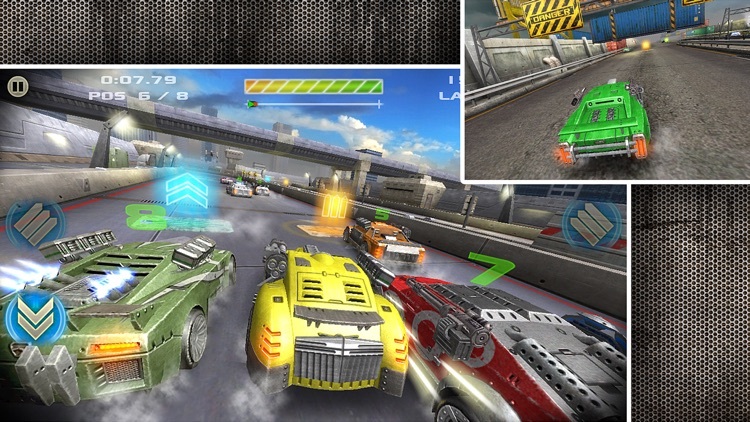 Choose from 7 unique cars, specially built to sustain the challenges of combat racing. Upgrades and customizations are also available. 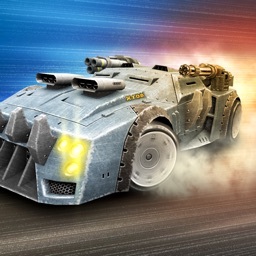 Powerful weapons from 5 different types: Machinegun, Missiles, Mines, EMP and Raygun. 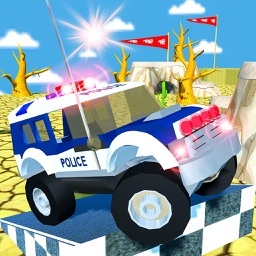 By completing tiers you also unlock fun challenge modes: Time Attack, Minefield and Barrels. 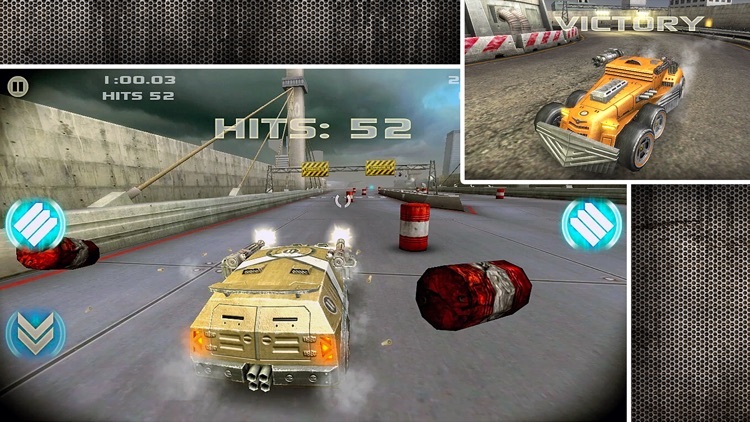 Choose tilt control, arrows or on-screen joystick to drive and blast away the competition. 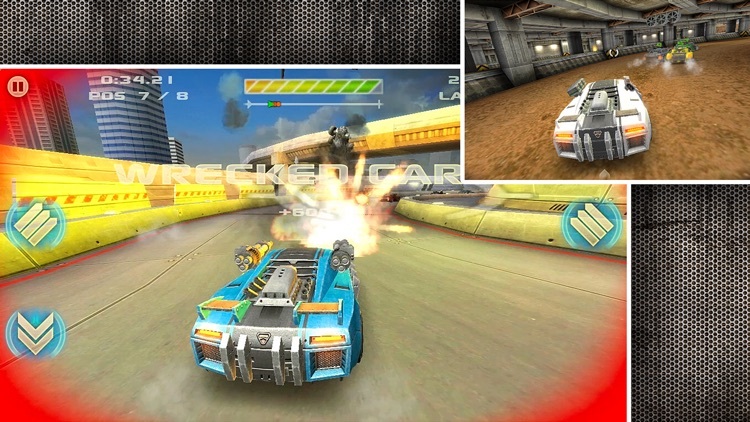 Unlock great achievements and compete for the first place on the Wrecks Leaderboard. Universal, works on all devices starting with the iPhone 3GS, iPod Touch 3 (except the 8 GB version) and iPad 1. Some features are not available on older devices. Note: The game does not have multiplayer. 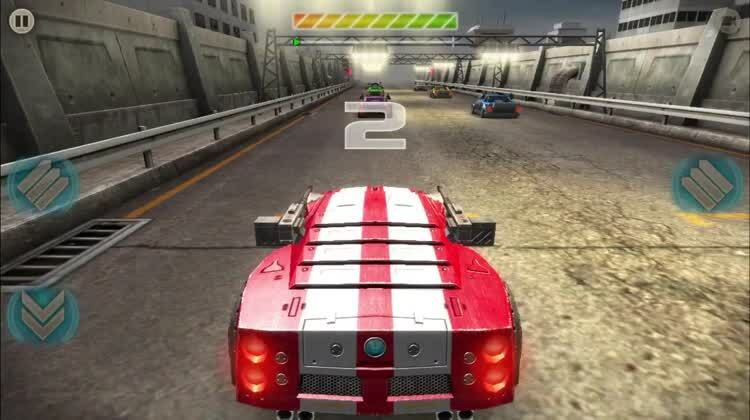 Today’s AGF list includes a productivity app, a racing game, and an educational game. 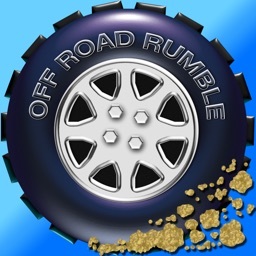 Today’s AGF list includes a puzzle game, a platformer, and a navigation app.